On R U OK? 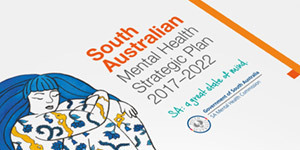 Day, South Australia’s Mental Health Commissioner Chris Burns encourages us to ask a friend, workmate or loved one if they are OK because having this conversation can make a big difference. Go to ruok.org.au for some great tips on how to have the conversation.